“The National Gallery’s mission – ‘to inspire and engage our people and our neighbors, creating a dialogue between the art of Singapore, Southeast Asia, and the world’ – is guided by our key stakeholders,” says Ms. Chong Siak Ching, the Gallery’s chief executive. By stakeholders she refers to the government arm that funds the Gallery – the Ministry of Community, Culture and Youth – the Gallery’s board, its management and staff, and its key constituents – the artists and the public. The board couldn’t have chosen a better candidate to lead the institution. Rigorously trained in running big, complex organizations, Ms. Chong has both the experience and stamina to steer the pioneering effort. She has spent a good part of her career as the chief executive of Ascendas, a behemoth whose various business activities and interests in real estate are summed up in the descriptive ‘space solutions provider’. She has sat on two statutory boards, JTC Corporation and SPRING Singapore, both under the Ministry of Trade and Industry. Industry accolades, check. Peer recognition, check. People who raise the fact that Ms. Chong didn’t “come from an arts background” should realize that what the institution needed from someone who would lead it was the ability “to build alignment of vision and goals, attract and develop people, inspire and engage them in everything that they do, be customer-focused, or ‘visitor-centric’ in this case”. All these are applicable in every industry or business, and the one who has proven abilities to do this job well should get hired. “The product or service offering may differ across industries, but the need to put the customer-first, to develop talent, to be financially disciplined, for example - these don’t differ,” Ms. Chong emphasizes. 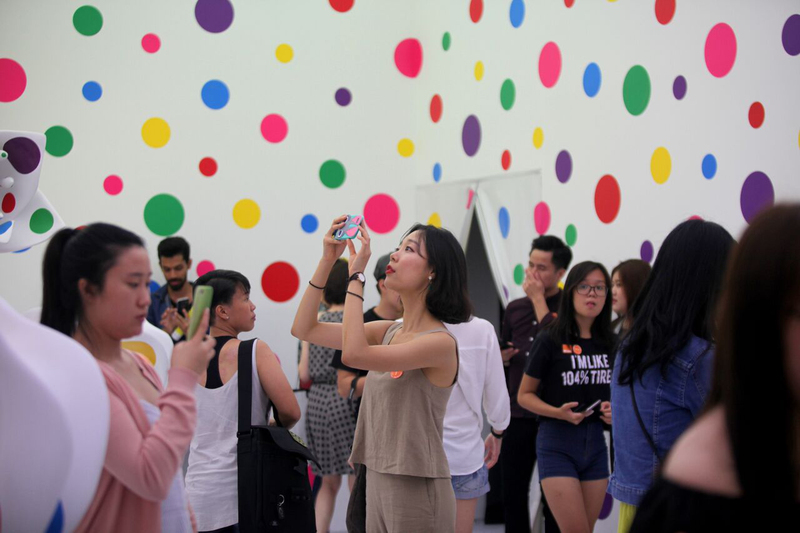 The Yayoi Kusama exhibition ‘Life is the Heart of a Rainbow’, which ran from June 9 to September 3 this year at the National Gallery Singapore was a hit. A big one. The number of Singaporeans and tourists who lined up to see the show was unprecedented. The Kusama show, which traced the artist’s journey over seven decades, featured 120 artworks, including her famous Infinity Room. 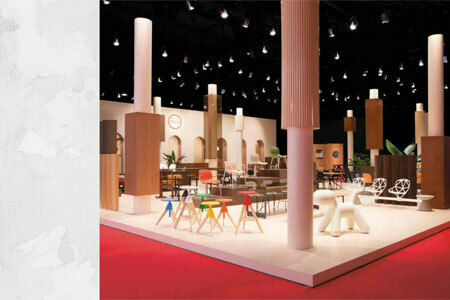 This exhibition attracted over 235,000 visitors – “way exceeding expectations”, Ms. Chong points out. It was surprising to see so many people waiting in line to see an art exhibition – we’re not in New York or Paris or Bilbao, after all, where monumental retrospectives have drawn large crowds sometimes even under the rain. Such collective enthusiasm would have been easier to comprehend here if it were a Madonna concert, the first-day sale of the new Apple product, or an F1 race. Yes, Ms. Kusama is as Pop as you can get nowadays; her work does have depth and gravitas, but also easy fun on the surface. Those pleasure dots are for everyone to appreciate. Or loathe. Social media fuelled the frenzy until nearly everyone has had a go at the Instagramable bits of the exhibition. Merchandise associated with the show flew off the shelves. And where mostly dehydrated and sunburned tourists made it to the museum shop for a souvenir to take home, there was – allegedly – a wait-list for the Kusama-dotted umbrellas. One realizes instantly that Ms. Chong really knew what she was doing: She could put on an exhibition that has both critical and box office pull. But when asked what influence she wields over the choice of exhibitions, she gave an interesting reply: “I suppose one could say that I can influence only as much as I can convince, but I yield to the views of colleagues who are the subject matter experts. It’s not a moneymaker, but the National Gallery Singapore still has to earn to keep going. It’s a non-profit, charitable organization, a public institution set up by the government and funded by one of its ministries. Its revenue streams include admissions revenues, venue fees, and rentals from dining outlets within the building. And, as everyone knows, generous donations and sponsorships from corporates or individuals can make up for a lot to keep the institution going. Ms. Chong acknowledges that the Gallery has been “very fortunate to have received generous donations from our founding partners”, which include the Tote Board, Keppel, DBS, UOB, Singtel, Far East Organisation and Ngee Ann Development, and many individuals. “Patronage from corporates and individuals is very important, and it allows us to fulfill our mission to do more and to do better,” Ms. Chong continues. “Donations-in-kind, of services for example, and donations of artworks are other ways of support that we receive.” For instance, its innovation partner, Accenture, works with them on technology innovations, such as the Gallery Explorer – a personal multi-media audio guide and navigation tool in the form of an app. “We continue to look for ways to grow our funds and ensure a sustainable financial future,” assures Ms. Chong. The Gallery has launched, for example, an Art Adoption program through which selected artworks can be adopted, and the money raised is used for the acquisition of new works, or support for core museum activities including research or exhibitions. Ms. Chong, who heads the pioneering team, sees her position as a privilege lined with a tremendous responsibility. As much as the opportunity is rare, and the challenge to ensure that the Gallery becomes and remains a people’s museum – “a place that had witnessed the founding of modern Singapore, but which everyone can now visit to also learn about Singapore and Southeast Asian art” – fair and clear, to survive, i.e., to make enough money to pursue its ends, and remain afloat, in a city state where competition for revenue is tough is yet another matter. Singapore has a handful of art museums and galleries. In what’s known as the Civic Center, the perimeter around the Singapore River, almost every other block has one major art- and culture-driven institution. They pursue different missions and advance different agenda, surely, but to the layman, or even to some museum-going crowd, they serve very similar purposes. They have to continuously do well in terms of their offerings and communication in order to survive. Through its exhibitions and programs, the Gallery hopes to “provoke thought, explore new perspectives, and inspire a more caring and inclusive society”. Admirable, yes, but perhaps easier said than done in a city where million-dollar entertainment extravaganzas can easily distract those who are out for intellectual and aesthetic stimulation. But before anyone can ask if a ‘kids’ space’ isn’t on every other museum’s menu, Ms. Chong shows her commitment and pride in the project: “The spaces within, which we created with the help of artists and educators, is very popular with school kids and families, many of whom return again and again,” she beams. “While size of exhibitions is one measure, what is important to us is also the impact and outreach achieved by our exhibitions and events. A new initiative by the Gallery, which was held from May to October this year, is the Children’s Biennale. It is the first such event in this region – a biennial dedicated to kids and families. This event was coupled with an outdoor festival in August, and enjoyed by more than 286,000 visitors. For now, the Gallery has DBS Singapore Gallery and the UOB Southeast Asia Gallery for long-term exhibitions, each with about 400 works on display in an expansive Singapore-related exhibition titled ‘Siapa Nama Kamu’, and a Southeast Asian one called ‘Between Declarations and Dreams’. Together they offer the largest public display of Singapore and Southeast Asian art, both from the National Collection of Singapore, as well as on loan from important art institutions from all over the world. “We believe in bringing together the best art of the region,” declares Ms. Chong. Several other galleries in the institution are dedicated to changing shows, the largest being the Singtel Special Exhibition Gallery, which has presented three international shows ‘(Re)framing Modernism’, co-curated with Centre Pompidou of France, ‘Artist & Empire’, with Tate Britain and the aforementioned Kusama show, in partnership with the Queensland Art Gallery, Museum of Modern Art. Up next at the Gallery is ‘Century of Light’, which will run from November 16 to March 11, 2018. 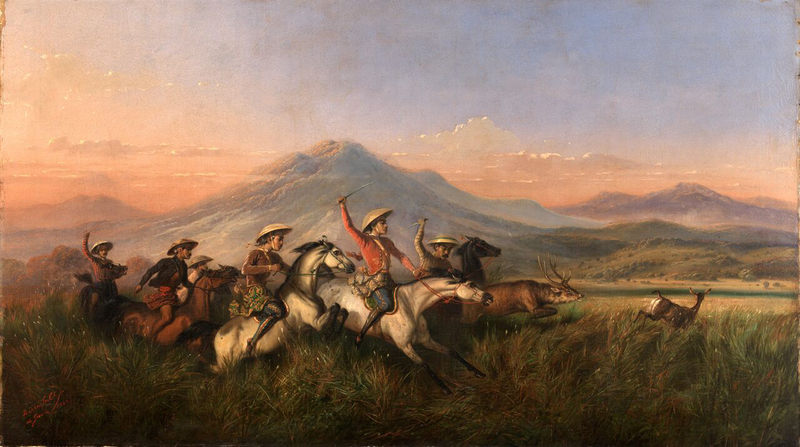 The exhibition will encompass two exhibitions, ‘Colours of Impressionism: Masterpieces from the Musée d'Orsay’ and ‘Between Worlds: Raden Saleh and Juan Luna’, that demonstrate the range of painting styles and art movements that developed in 19th century Europe during the post-enlightenment period of innovation and change. The Gallery provides multiple entry points to art – via music, film or poetry, and organizes workshops, talks and seminars to engage with different audience groups. Even the museum shop and the varied dining options join in by offering art-inspired merchandise and cuisines to entice the visitors, Ms. Chong adds. “We also collaborate with other institutions to develop new audiences to visual art through joint programs,” Ms. Chong points out. The Singapore Repertory Theatre has staged the award-winning play ART by Yasmina Reza at the Gallery’s City Hall Chamber. Over the past two years, the Gallery has collaborated with various organizations on the Singapore Writers Festival, the Singapore International Festival of the Arts, the Singapore International Film Festival, and the European Union Film Festival. Different audience segments have different reasons for coming to the Gallery. 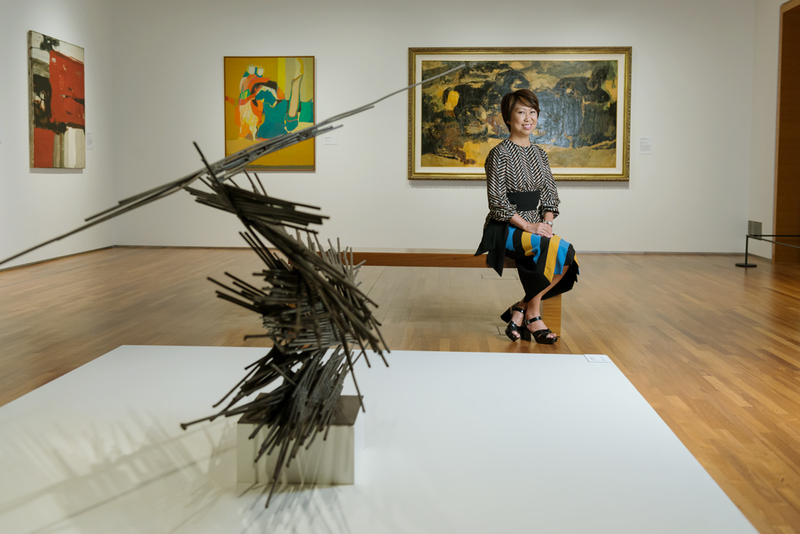 “Regardless of their motivation, we want every visit to the Gallery to be a moving experience - one where they are inspired by stories they hear, their curiosity piqued by the art they encounter and leaving with an intention to return,” says Ms. Chong. The Gallery works with community partners to bring over their constituents – and for whom special programs have been especially created. For example, they have customized tours in sign language for the hearing-impaired, and dialect tours for the seniors. “One of my favorites is a tour jointly conducted by our Director of Curatorial, Collections and Education, Low Sze Wee, and popular blogger Mr. Brown for our Artist & Empire show. It was so popular, we had to have additional runs,” Ms. Chong shares. 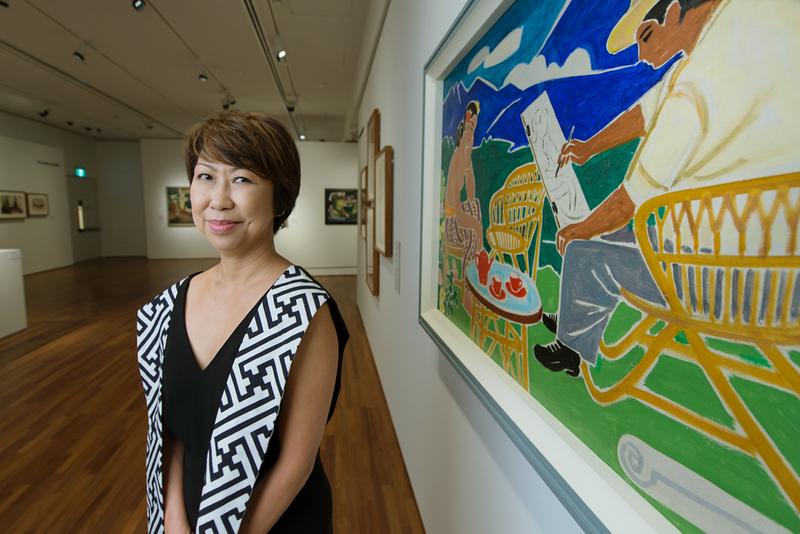 About 70 per cent of the Gallery visitors are locals, which makes Ms. Chong proud. “Even so, we believe in the opportunity to reach out to more local residents and enhance their appreciation of art, and build a museum-going culture. Two important constituents allow the Gallery to exist and thrive: the artists and the audience, Ms. Chong surmises. “As we mediate the encounter between our audience and the art, I am very heartened by the positive feedback from both the artists and our audiences, about the quality of our exhibitions and programs and their experiences in the Gallery.